The-Cleaning-Company-Halifax providing professional cleaning to all types of premises throughout Halifax and surrounding areas. 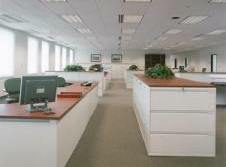 We specialise in the cleaning of Offices. We also clean Shops, Pubs, Health Centres, Fitness Gyms, Dental Practices, One Off Cleans, New Builds, Landlord Cleans, Communal Area Cleans, Domestic Cleans all at competitive prices and can guarantee personal service to each of our customers whatever the size of contract. The Cleaning Company is a growing, local, family business offering quality cleaning for both commercial and domestic clients in the West Yorkshire area. Our aim is simple; to provide the highest standards of cleaning and service at incredibly competitive prices. The Cleaning Company have developed an excellent reputation throughout the area. We are trusted for our first-class customer service and the high standards and effectiveness of our cleaning work. All work is carried out by fully trained, competent and conscientious staff. Too busy to clean? Hate cleaning? Is your current cleaner letting you down? We know how you feel, we are a Domestic Cleaning Company, servicing all types of residential homes throughout Halifax, Huddersfield, Brighouse and Elland. We are not a franchise, we are a local Halifax business, who provide a service for local based residents. We offer regular weekly and fortnightly cleans, and occasional one off cleans. All cleaners are personally trained, vetted and fully referenced checked. We have full public and employers liability in place for our cleaners and our competitive rates make having a cleaner affordable, without compromising on standards or quality. 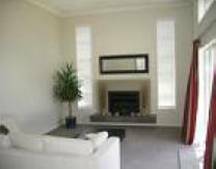 We offer a full domestic cleaning service. If you want a cleaner and healthier home, The Cleaning Company provide a comprehensive range of services. We know only too well what a competitive market place you operate in and we have a list of services you can select to ensure your company can maintain its image whilst remaining competitive in your field. Small units and other such premises are no problem for us, whether it be a one cleaner shop to a unit requiring multiple cleaners. We are always able to tailor make a package to any customer requirements allowing us to be ever flexible and capable to meet your needs. Hygiene standards must be higher and other such requirements are paramount. With over 25 years worth of experience we are all too well aware of these constraints and are easily able to meet the demanding needs of such businesses. 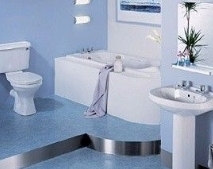 We can cover everything from cleaning floors, toilets, kitchens, consulting and treatment rooms, wiping down of fixtures and fittings, examination areas etc. 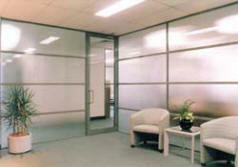 Over the years TCC has carried out many before or after party cleanings. We can either organise special team of cleaners or one cleaner to come any time/day convenient for you. We understand how important is to have your place clean as quickly as possible that is why we will not charge you extra for coming during weekends. For finest after party cleaning services in the area, contact us today.